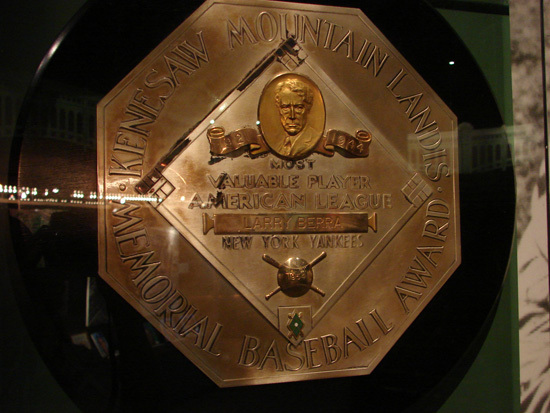 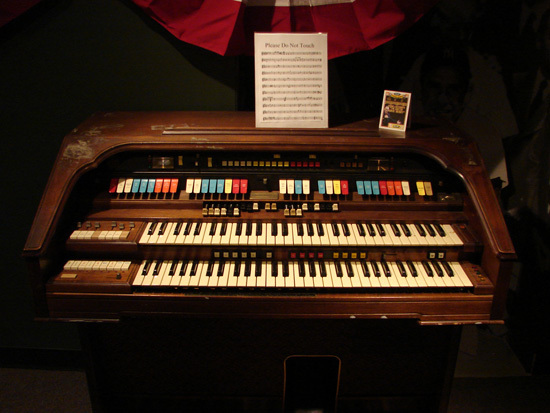 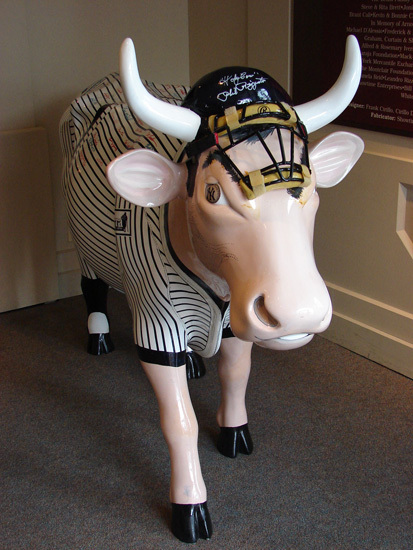 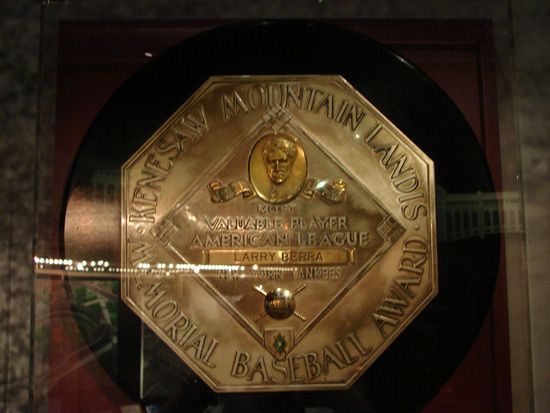 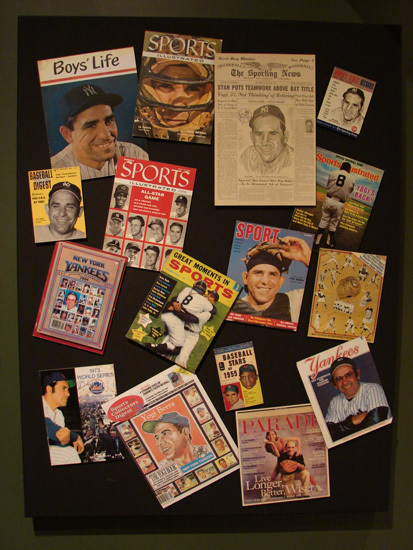 The Yogi Berra Museum and Learning Center is located on Montclair State University. 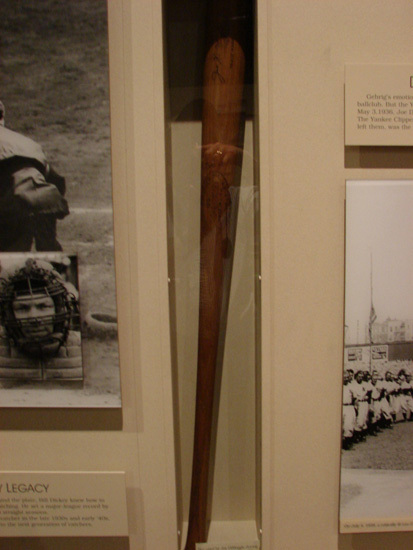 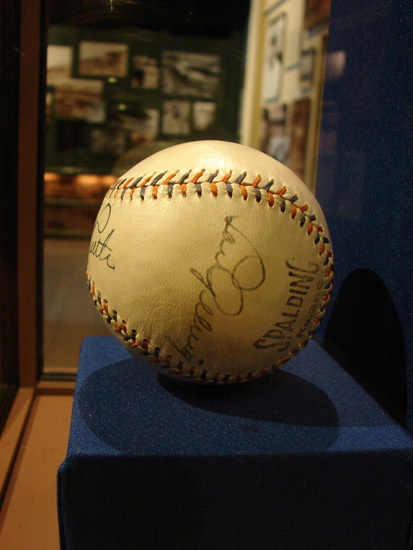 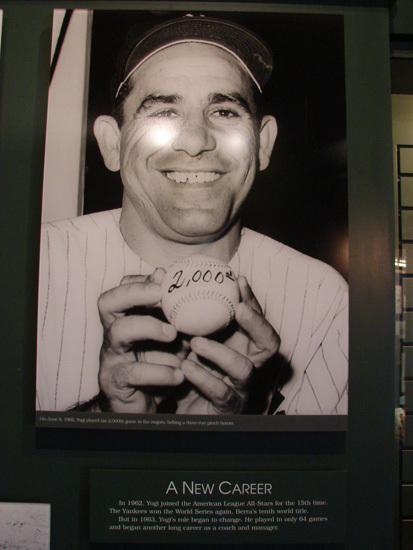 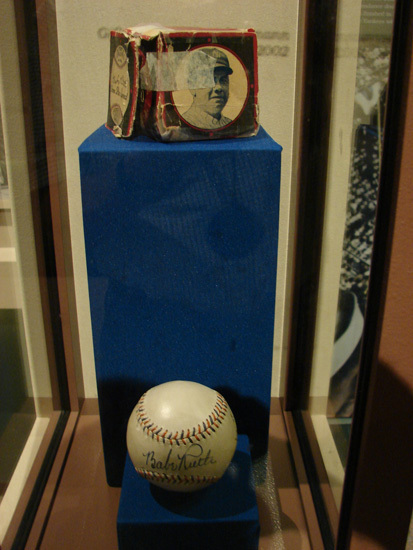 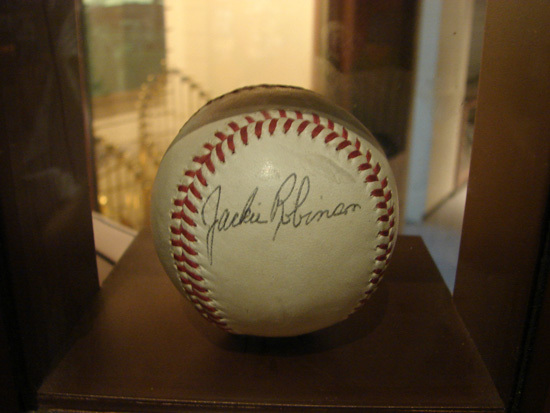 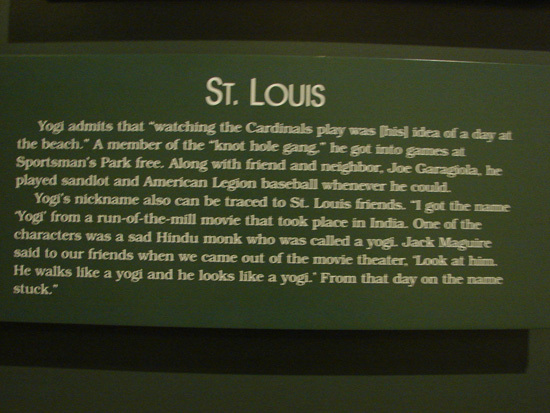 The museum has an excellent display of Yogi's career, baseball in New York City and lots of Yogi memorabilia. 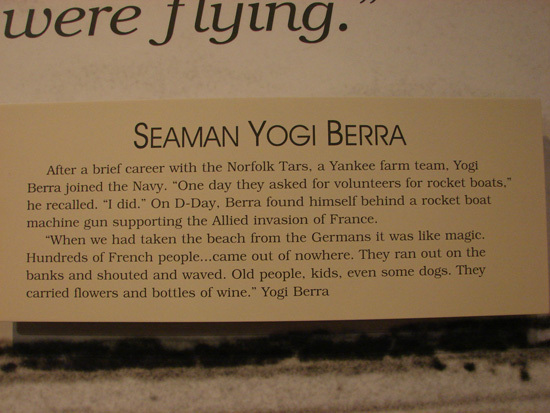 Yogi started his professional baseball career playing for the Yankee farm team the Newark Bears. 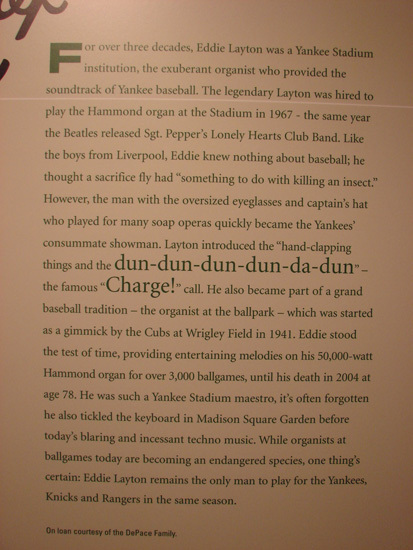 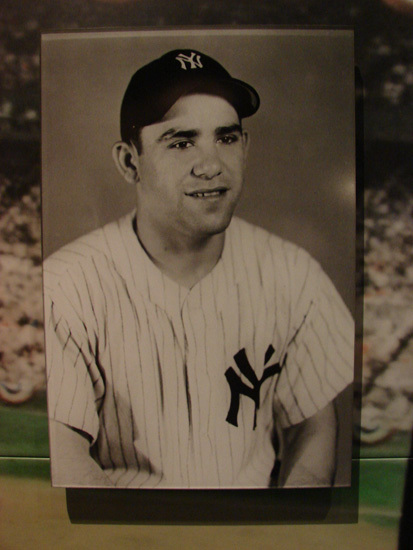 Near the end of the 1946 season he moved up to the Yankees and hit a home-run in his first game on September 22, 1946. 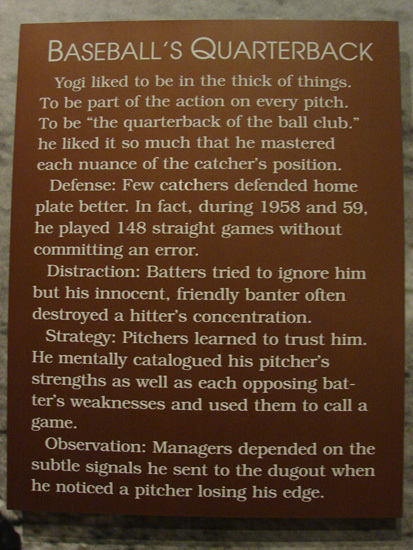 In 1963 he played only 64 games and then began another long career as coach and manager. 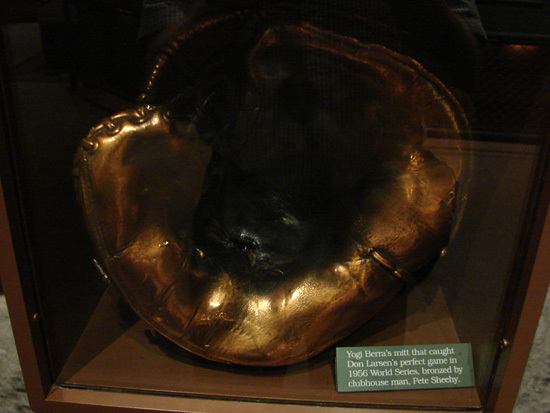 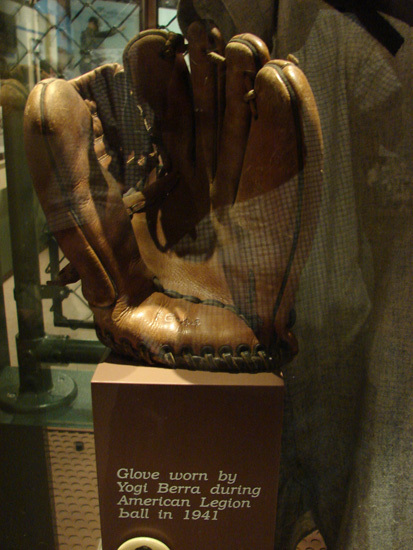 Row 1--#1-information about Yogi as a child, #2-glove used by Yogi in Legion baseball, #3-Yogi in the Navy, #4-Yogi as a Yankee, #5-Yogi as a catcher, #6-Glove used to catch Don Larson's perfect game in the world series. 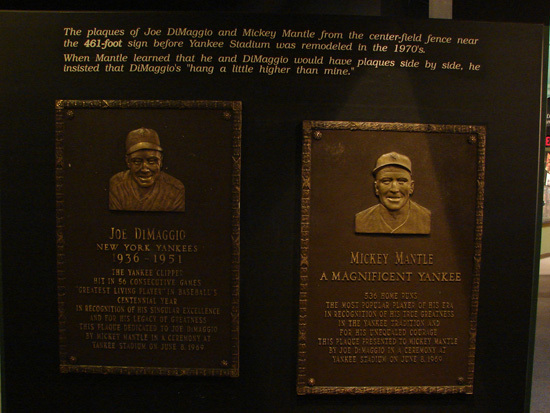 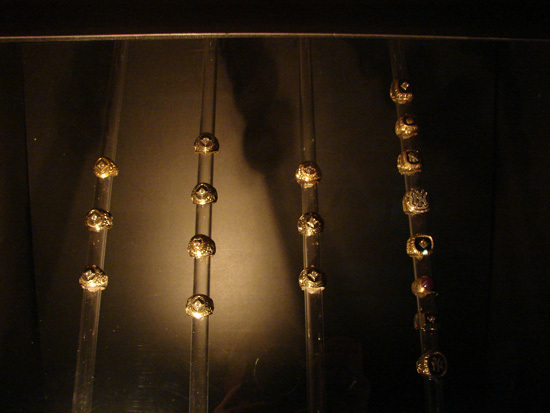 Row 2--#1 & 2-Yogi's 2 MVP awards, #3-the first three rows left to right are the championship rings he received as a Yankee and the fourth row are other championship rings he received, #4 is the bat he used to hit the closing bell on the NY Stock Exchange, #5- a picture with his 3,000th hit ball, #6-one of the 4 displays of magazines, papers, etc that he was on the cover. 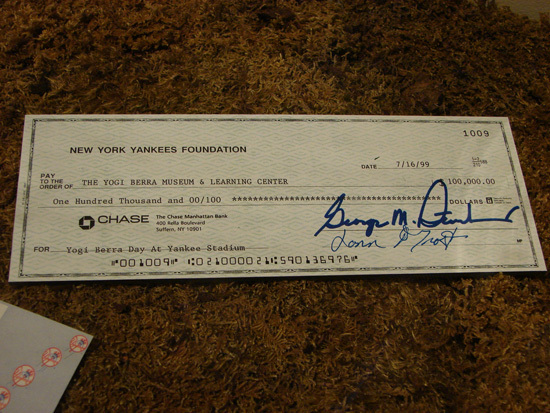 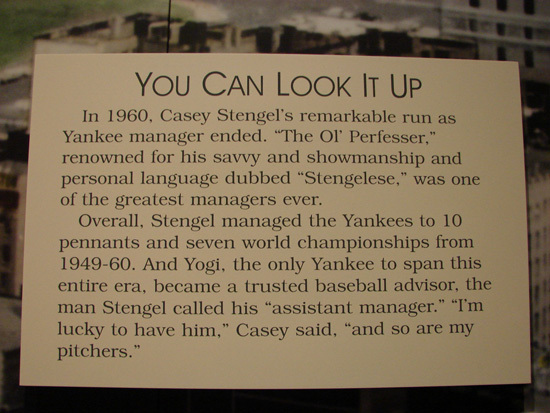 Row 3--#1-comment by Casey Stengel about Yogi, #2-Yogi's return to Yankee Stadium, #3-$100,000 Check written by George Steinbrenner to Yogi's Museum, #4-Cow in Yankee pinstripes at the entrace to the museum, #5 & 6-Chest protector information. 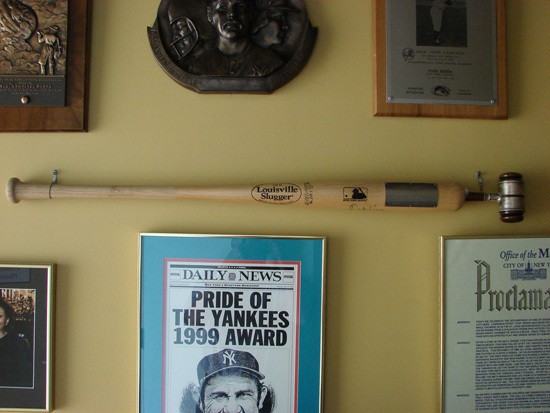 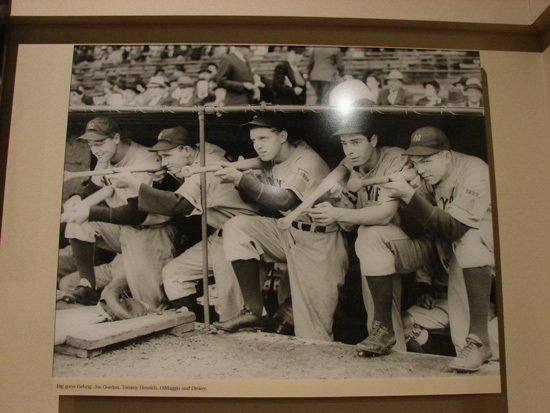 Row 4--#1-Building Yankee Stadium, #2 & 3-baseball signed by Ruth and Gehrig, #4-Big Guns-Gehrig, Joe Gordan, Tommy Henrich, DiMaggio, Dickey, #5-Bat used by Joe DiMaggio in 1941 during 56 game hitting streak, #6-Plaques of DiMaggio and Maris like those in the Monument area atYankee Stadium Row 5--#1-Jackie Robinson autographed ball, #2 & 3-Information about the organist at Yankee Stadium, #4-Yankee Stadium organ, #5-Painting of Ebbets Field, #6-Painting of The Polo Grounds. 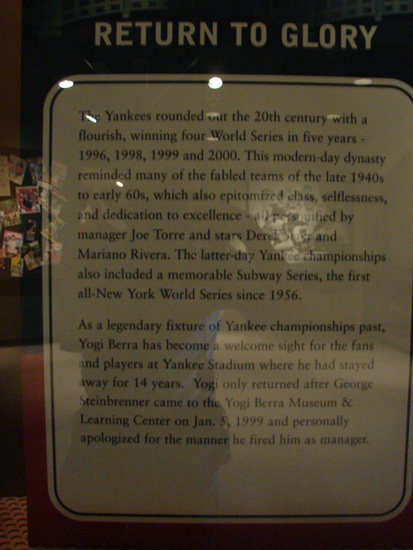 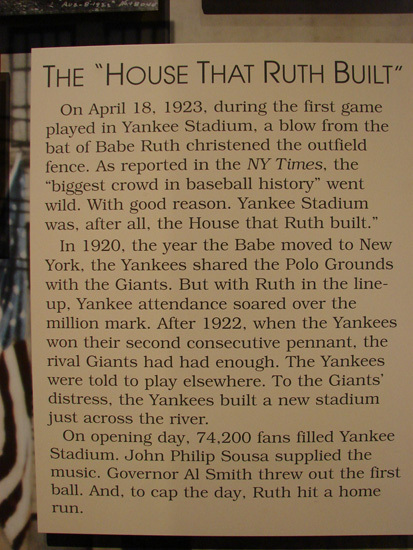 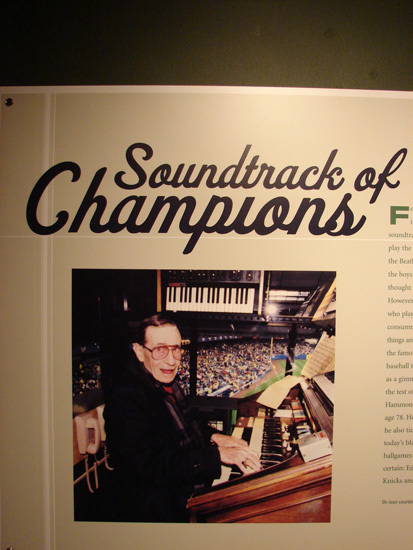 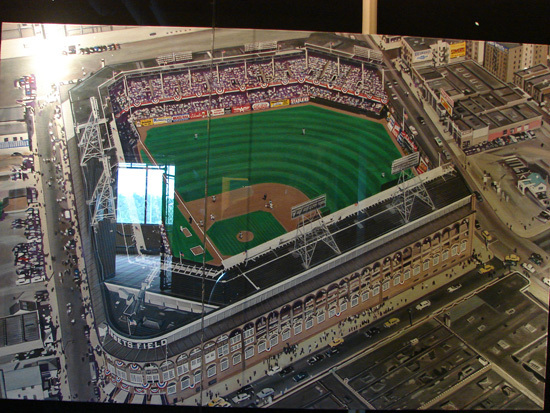 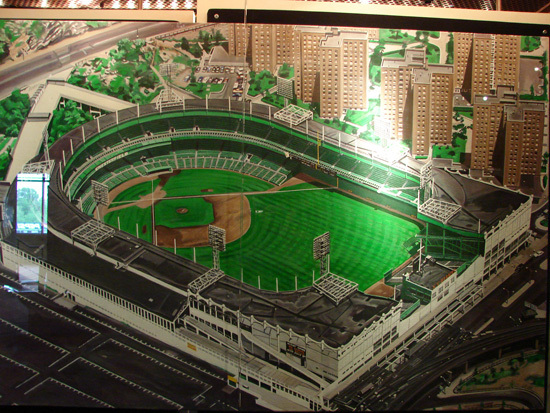 The Yogi Berra Staduim is adjacent to the museum. 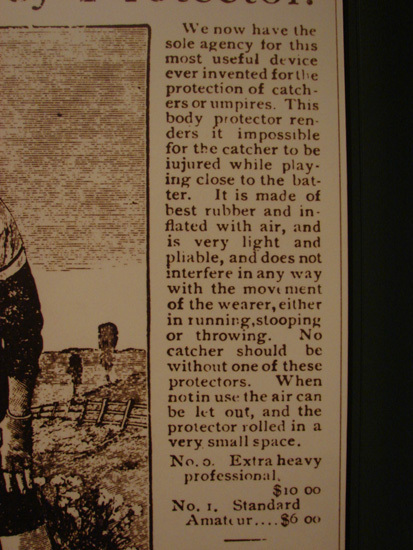 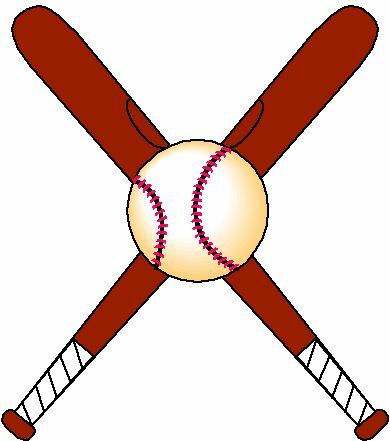 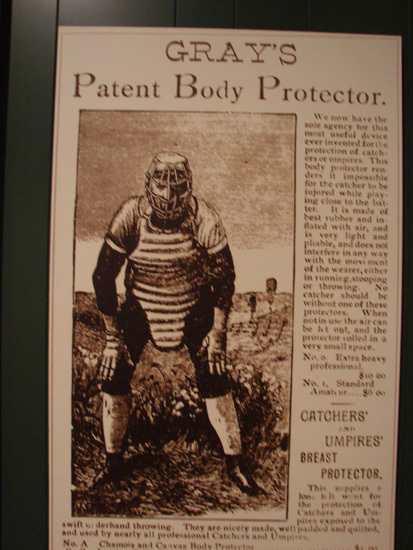 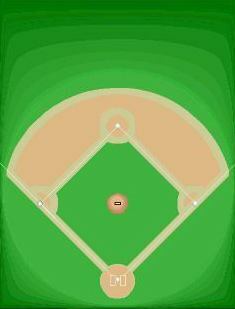 The New Jersey Jackels, a Canadian-American Independent League, play there.